YouTube/BeatsBeats’ new ad is packed full of celebrity cameos. Good morning and Happy Thanksgiving to our US readers. Here are all the advertising stories you need to know today. 1. Sensing its market share was cratering following a September redesign of MSN.com, Microsoft quietly asked comScore to recalibrate how it reports visitor numbers for MSN and Bing. Previously Microsoft’s online properties had separate reports for each site, but now Microsoft is bundling all visitors from sites like MSN, Bing and Skype under one banner so it’s difficult to get a sense of a month-on-month comparison before and after the redesign. 2. Beats has released a new ad and it’s full of celebrities. 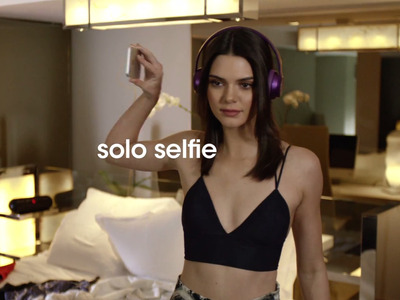 The ad, called “#SoloSelfie,” is a mashup of pop culture’s A-list with celebrities like Serena Williams, Kendall Jenner, and Big Sean taking video “selfies” of themselves wearing Beats. 3. Twitter is to begin monitoring the other apps users have on their phones. Twitter hopes that such information will lead to greater insights about its user base in order to serve better targeted advertising. Animals Australia featuring “people being awesome” by helping ducklings cross the road and another man diving down a manhole to save a duck in peril has hit 88 million YouTube views worldwide, AdNews reports. The three-minute home video footage compilation forms part of a new campaign from the animal rights group urging the government to change its policy on duck shooting. 5. Peer-to-peer file sharing platform BitTorret is “going legit” with its first original web series, Adweek reports. The pilot and an ad-supported version of “Children of the Machine” will be made available for free download, but those who want to skip ads can pay $US4.95 for the eight-episode season or $US9.95 for bonus content. 6. Heineken has launched its own search engine to help push its Sol brand to independent retailers, Marketing Week reports. The branded search engine suggests the best local independent cafés, bars and restaurants according to user’s locations and preferences, a move it hopes will create news sales opportunities for the lesser-known beer. 7. Retailers began their marketing spend earlier than ever this year ahead of the US holiday shopping period, especially through search marketing, The Drum reports. Kenshoo data shows paid search spend began to rise nine days before Thanksgiving, four days ahead of the same period last year, to meet the trend of consumers planning their festive buys earlier. 8. Whether you’re preparing a presentation or comparing your sales with rivals, here’s a handy roundup of all the Black Friday 2014 stats from Econsultancy. Useful information includes data on the best time to tweet to how much UK consumers are set to save this weekend. 9. The Federal Trade Commission has ordered Sony to pay back $US25 (or a $US50 merchandise voucher) to consumers who bought a PS Vita console before June 2012, having found the company guilty of deceiving customers with false advertising claims. The FTC — which also called out Sony’s agency Deutsch LA in the ruling — said claims related to the PS Vita’s “remote play” and “cross platform” features were misleading. 10. Digiday explores why publishers are struggling with private marketplaces. Problems include the ad tech “plumbing,” a lack of interest from the demand side and that many buyers are approaching private marketplaces in the same way they do with open exchanges, which they use to find big audiences at low prices.